This is a vegetable that is often overlooked at the grocery store. It is in the celery family but is much more flavorful and aromatic. When sautéed or braised, it tastes delicate and delicious. 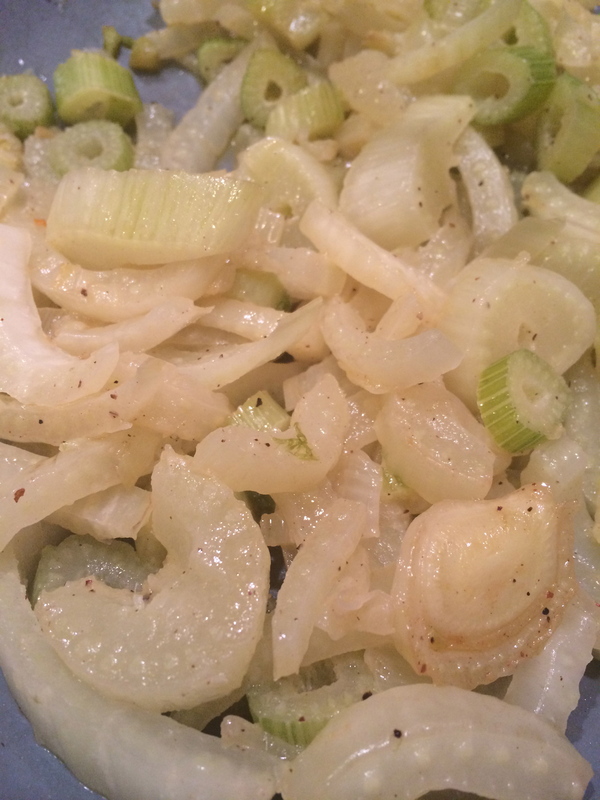 Cut fennel in half longways and slice into crescents about 1/4 inch thick. You can save the small green tops to garnish if desired. Heat butter in skillet but do not brown. Add fennel, garlic, salt and pepper. Sautee until softened. Serve immediately.